Honest and impartial list of 5 best sewing machines for kids that cost under $80. Only the best of the best is included in this list. There are hundreds of sewing machines available for kids. Almost all of them look so so great that you buy them instantly. The hard fact is that 80% of sewing machines made for kids are useless. Yes you read it right. Most machines won’t even last for a week. As a kids’ sewing machine, you will expect it to bear all kind of rough handling. 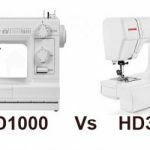 An ideal kid’s sewing machine should not just look good, it should also be able to provide quality stitches (at least that is why we buy a sewing machine). 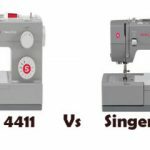 Many parents have asked me, “Christina, can you tell me which is the best sewing machine for kids?”. The answer needs a bit of explanation. How much do you actually want to spent for a kids’ sewing machine ? Ideally, I would like to spend no more than $80. I believe that is pretty much the benchmark for kids’ sewing machines. 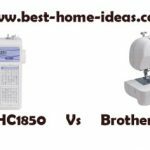 So I have created a list of 5 best sewing machines for kids that cost under $80. 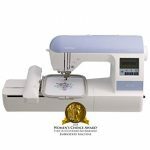 If you are looking for more expensive models you can read our list of ‘Best Sewing Machines For The Money – Under $200’ list. It is more of a beginners machine than a kid’s machine. I included XL2600I in this list because of its quality and ease of use. You can’t get a better machine for this price. If your kid is a fast learner, this machine will provide enough room for creativity. 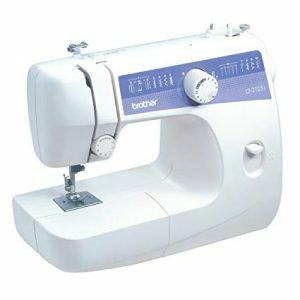 It has 25 built-in stitches, one-step buttonhole, automatic needle threader, drop-in bobbin etc. These are the features that you normally get on $150 machines. 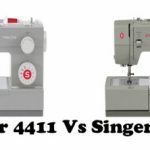 Even better thing is that, if your kid gets used to these advanced features in the early stage of sewing, it will be much easier for them to switch over to advanced sewing. The stitch quality is excellent. The machine is not made of cheap plastic, the build quality is quite good. This machine can deal with rough handling, take my word for it. Some might consider this machine as little bit too much (in features) for kids, but if you are serious about teaching your kid, Brother XL2600I is definitely a step in the right direction. It has been the best seller for quite some time now. Cons : No major issues. This is the second most popular sewing machine for kids. This machine is not as advanced as the previous one in features but is still a popular sewing machine among kids. 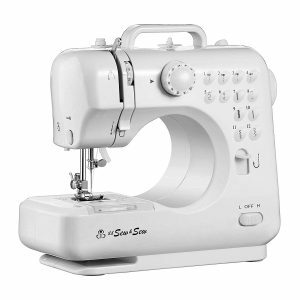 It has 10 built-in stitches, 4-step buttonhole and side loading bobbin. Cons : 4-step buttonhole and side loading bobbin are not easy to handle, especially for kids. Even interesting fact is that the current price difference between LS2125i and XL2600I is very less. So everyone chooses XL2600I over this one. A better pricing would have made it more competitive. Most beautiful sewing machine in this list. It is available in 5 other colors as well. Kids will love the look of this machine. It is beautiful, affordable and has some quality associated with it. 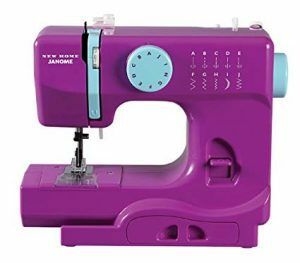 It has 10 built-in stitches, drop-in bobbin and it is portable. If aesthetics is something that you consider as a top priority, then this is the one for you. Cons : Not designed for heavy fabrics. No sewing light. If you are really on a tight budget, LSS – 505 would be a great option. 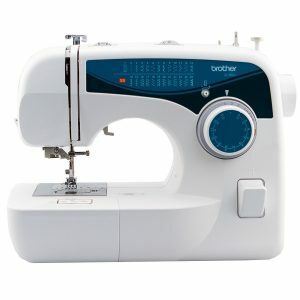 This is the least expensive sewing machine in this list. It comes with 8 built-in stitches. Cons : Stitch quality is not as good as you will get on better ranked machines in this list. Something that you must expect from a low cost sewing machine. 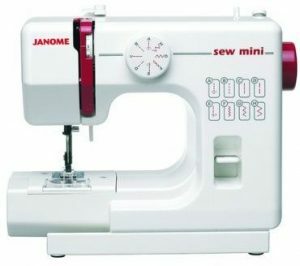 Janome Sew Mini is a 2 stitch sewing machine. It has a top loading bobbin for easy bobbin changing. It doesn’t pack a lot of features like Brother XL2600I or Purple Thunder, but still it is a decent machine. It is affordable as well. Cons : Not good with denim. The machine is loud as well. This concludes my list of best sewing machines for kids. If you go by pure aesthetics you might come across even better models but as far as quality and durability is concerned, these were the best 5 I could find. One more small piece of advice, please don’t even think of buying machines that cost under $25, you will end up wasting your money. Money lost is lost forever, even if it is just $25, I know how much it takes to make $25. So please stay away from them. I hope this list will help you make a better decision.